Play’n Go invites you to take a ride on the mighty Yukon River during the time of the Klondike Gold Rush, in Wild Falls. 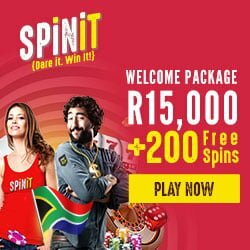 Highlights of this slot include wilds, multipliers, respins and free spins for the chance at striking x10,000 bet! During the northwest Canadian Klondike Gold Rush of the 19th century, prospectors from as far away as Seattle and San Francisco headed north to stake their claim. It comes as no surprise then that this 5-reels and 20 fixed paylines slot includes thematic symbols. These thematic symbols are a gold sack, river pan for extracting gold, pick & shovel and an oil lamp. Lower on the payments table, but rewarding none the less are the five royal flush poker symbols. Instrumental music dominated by the sound of the banjo and fiddle seems at home in this slot. The wood chest acts as the wild symbol when appearing on the 2nd, 3rd and 4th reels. It can substitute for any of the other symbols. A randomly triggered sweetener is the Gold Rush Feature which transforms the wooden chests into gold chests. What’s the difference you may ask? Well, the gold chests come attached with x2, x3 or x5 multipliers which are multiplicative to form multipliers of up to x125. While the wood chest symbol is a wild, it is also a scatter symbol. 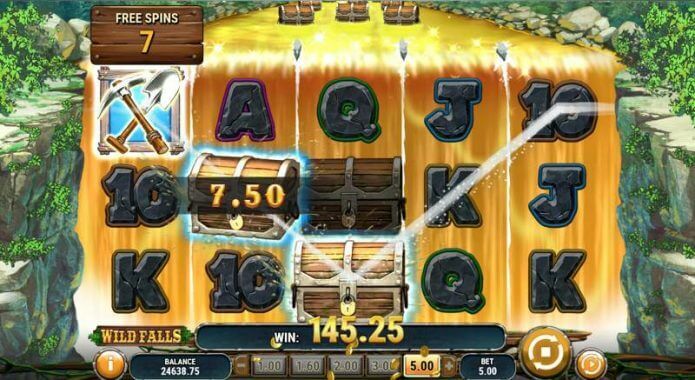 With three wood chest scatters appearing on the reels, the River of Gold Free Spins Feature is unlocked. Here the chests are semi-sticky, shift downwards on every spin. New chests can be added on each spin, and the duration of the free spins is contingent on there being at least one chest present on the reels at all times. The maximum payout is x10,000 bet on this feature. The feature is difficult to trigger, but we did manage after some time which proved worth the wait. Super River of Gold Free Spins Is a slight variant of the River of Gold Free Spins. While the mechanics are identical, it is triggered by three gold chest symbols with the attached multipliers applicable. Unlocking the feature is about as difficult as striking gold so you’ll need to be patient! Riding the rapids to strike gold or three scatters, in this case, is not an easy accomplishment, so the developer included the Rapid Respins Feature. This feature is unlocked whenever two of the required wood or gold chests appear on a spin. These symbols are held in place while the third reel spins for the chance to collect the elusive third scatter to trigger the free spins. 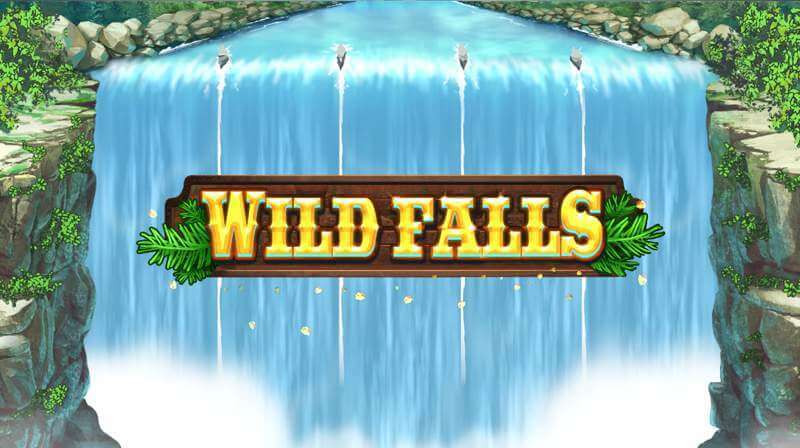 Wild Falls slot has an RTP of 96.50% and a range of wagers of from 0.20 to 100. Designed using HTML5 technology, the high volatility slot, available on Android, iOS or Windows, goes wherever you do. If you’re ready to brave the rapids for high risk and high rewards, try this slot today! Game description: During the northwest Canadian Klondike Gold Rush of the 19th century, prospectors from as far away as Seattle and San Francisco headed north to stake their claim.